Waterwise is not just about growing drought tolerant plants or eliminating plantings. It is a holistic approach to managing water to avoid flooding that overwhelms sewer systems, improper watering that wastes water, and poor landscape designs that generate too much work and require too many resources. Make this the season that you incorporate a few waterwise habits into your gardening. 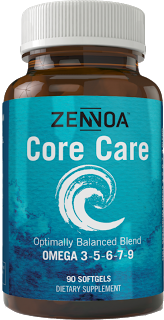 You'll find it is good for your garden, the environment and your pocketbook. Start with one or more of these strategies this year. Select the right plant for the growing conditions. Plants that thrive in normal growing conditions for your area will be healthier, require less care and need less water. Look for drought tolerant plants that require less water once established. Keep water out of the storm sewers and in the garden instead. Prevent flooding while improving your garden. Adding several inches of compost to the top 8 to 12 inches of soil increases the soil's ability to absorb and retain water. This means less runoff into the storm sewers and less frequent watering. Use plants to prevent runoff and conserve water. Plant trees, shrubs, and groundcovers to slow the flow of rainwater, increase the amount of water that stays in your landscape for your plants, and to filter water before it enters the groundwater. Install one or more rain gardens to intercept surface water runoff for use by rain garden plants and to help recharge the groundwater. Provide plants with a healthy diet. Use a slow release non-leaching organic nitrogen fertilizer like Milorganite (milorganite.com). You'll encourage slow steady growth, so your plants will require less water and be less prone to insect and disease problems. Plus, the slow release nitrogen encourages healthy growth and does not prevent flowering and fruiting. Water wisely. Water plants thoroughly and only when needed. Water the soil, not the plant, using a watering wand, drip irrigation or a soaker hose so less water is lost to evaporation. Water early in the morning whenever possible to reduce water loss during the heat of the day and diseases caused by wet foliage at night. Manage your lawns to reduce water use. Select drought tolerant grass varieties to reduce watering needs. Prepare the soil before seeding or sodding or aerate and spread a thin layer of compost over existing lawns to increase water absorption and reduce runoff. Mow high to encourage deep roots that are more drought tolerant and pest resistant. Allow lawns to go dormant during hot dry weather. If irrigating, water thoroughly when needed, that's when your footprints remain in the lawn. Conserve water and reduce time and money spent on plant care. Mulch the soil around trees, shrubs and other plants with several inches of woodchips, shredded leaves, evergreen needles or other organic material. Mulching reduces watering frequency, prevents soil compaction from heavy rainfall thus increasing water absorption. It also adds organic matter to the soil as it decomposes. Repair leaking faucets, fittings and garden hoses. A slow leak of one drip per second can waste up to nine gallons of water per day. Look for and use wasted water. Collect the "warming water" typically wasted when preparing baths and showers. Use a five-gallon bucket to collect this fresh water and use it for your containers and gardens. Collect water from your dehumidifier and window air conditioners for use on flowering plants. Do not, however, use this water if environmentally harmful solvents have been used to clean this equipment. Check with your local municipality if you are considering using gray water. Once you wash clothes, dishes or yourself, water is classed as gray water and most municipalities have guidelines or regulations related to its use. 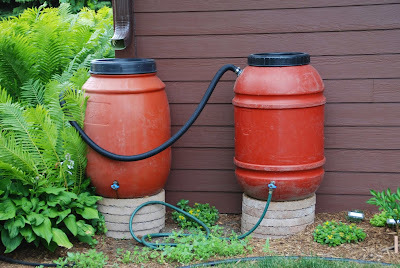 Harvest rainwater if your municipality allows. The ancient technique of capturing rainwater in jugs, barrels and cisterns has made a comeback. Collecting rain when it is plentiful and storing it until it is needed is one way to manage water for the landscape. But first check local regulations before installing a rain harvesting system. 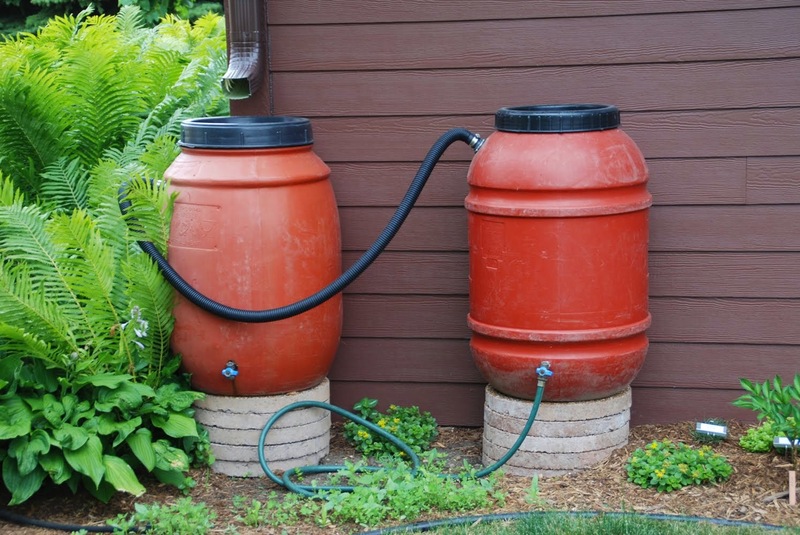 Several states have banned rain harvesting, while others offer rebates or rain barrels at a discount to gardeners. Gardening expert, TV/radio host, author & columnist Melinda Myers has more than 30 years of horticulture experience and has written over 20 gardening books, including Can't Miss Small Space Gardening and the Midwest Gardener's Handbook. She hosts The Great Courses "How to Grow Anything" DVD series and the nationally syndicated Melinda's Garden Moment segments. Myers is also a columnist and contributing editor for Birds & Blooms magazine. Myers' web site, www.melindamyers.com, offers gardening videos and tips.